I just received the following email from Pete Dalby - good news for anyone who likes Testudo miniatures! "I’m delighted to say that Giuseppe Rava of Testudo Miniatures has very kindly agreed to let me distribute his excellent miniatures in the UK. His 30YW / ECW figures are arguably the best available in 15mm. They are to Renaissance what Xyston are to Ancients. If you’ve not seen them before I’ve created albums on Photobucket where you can see the figures in all their glory. In bringing these figures to the UK market I have looked at the pricing of similar quality figures – Xyston, Corvus Belli, Venexia, Mirliton etc – all of which are at the top end – versus the staple of the UK wargaming scene – Essex. The good news is that my prices will only be pennies more than Essex per figure – and cheaper than all of the other manufacturers I’ve mentioned. If you’re playing or collecting in this period – you deserve to have figures of this quality – so treat yourself. This is a new venture for me and initially I will not have a website. I am just about to place my first bulk order and it would be great to hear from you on what figures and volumes you might be interested in with no obligation. Please email me at peterdalby@talktalk.net If you are interested in the other Testudo ranges please let me know. All packs contain a mix of poses. Pikemen do not come with pikes. The only other cost to you will be UK postage which will be via Royal Mail and commensurate with the weight of your order. I will invoice you via Paypal. 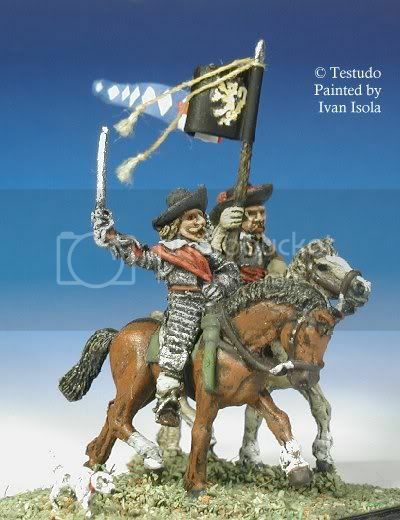 If you’re still not convinced check out these photos from Mark Kernan of TheOneTree painting service – all using Testudo figures. I hope to hear from you soon – go on – you know you’re worth it! Some work in progress shots of the Warlord Games (and others) 28mm army - this time, Cuirassiers, casualties Mounted harquebusiers and baggage. Just added a couple of helicopter videos onto YouTube. How low can an Apache fly ? This low maybe? What about a Chinook or a Blackhawk?